He is an expert with the latest technology ... a madman with the mind of a genius and the heart of a killer. He quietly stalks his prey. Then he haunts the police with cryptic riddles about the crimes he is about to commit--always solved moments too late to save his victims' lives. This was another great read. I enjoyed it, although I hate the gory details of death, I tend to skip as much as I can, rather gathering just a general idea. 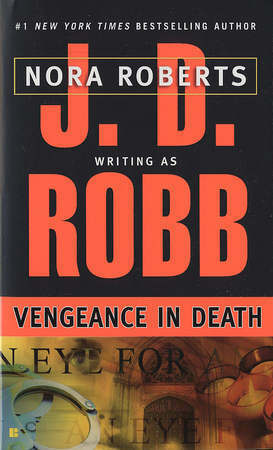 Eve Dallas and Peabody provide plenty of entertainment to say nothing of Roarke. This time we get to find out a little more of Roarke's past life and the people he has come across back then. Somerset comes more into focus in this book, I suspect that from now on he will have a changed attitude to Eve. Up until now his innate need for order and Eve's need to annoy him have provided some humourous moments. This book also explains the relationship that Roarke and Somerset have, there are strong bonds between them. Speaking of humour this book had one or two laugh out loud moments, while these books deal with murder, the characters are witty and entertaining. I am wondering if perhaps McNabb will feature in future books as a 'love interest' for Peabody? There were a few small sparks flying in this one between them.